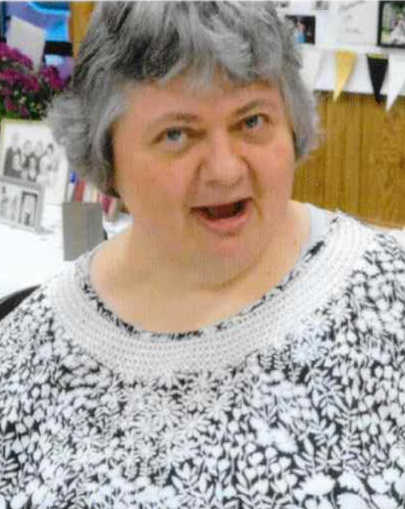 Brenda Kay Confer (Chickie), 53, 2137 Bald Eagle Mountain Road, Mill Hall, PA died October 11, 2018 at the UPMC Susquehanna Williamsport Hospital. Born June 1, 1965 in Lock Haven, she was the daughter of Shirley Allen Confer who survives at home and the late Kenneth E. Confer. Brenda graduated in 1986 from the Bald Eagle-Nittany High School and attended the programs at Clinton County Community Connections. Brenda enjoyed her family and being with them. She enjoyed Scooby-Doo; Woody (from Toy Story); her Cow (Bullseye from Toy Story); chickens; balloons, Disney movies. Her activities were fishing, swimming, bowling and dancing to music. Brenda also enjoyed family trips to West Virginia, aquariums, zoos, and amusement parks. Puzzles and crafting were her hobbies. *** Preceded in death by 1 nephew: Jackie Bauman, Jr.
A funeral service honoring the life of Brenda Kay Confer (Chickie) will be held Tuesday October 16, 2018 at 1 PM in the Dean K. Wetzler, Jr Funeral Home, 320 Main St. Mill Hall, PA with Doyle Tressler officiating. Interment, Rest Haven Memorial Park, Lock Haven, PA. Friends will be received in the funeral home Monday evening, October 15, 2018 from 6-8 PM. Memorial contributions are suggested to Clinton County Community Connections through the funeral home.